NEXT CLASS IS CURRENTLY OPEN FOR REGISTRATION – CLICK HERE TO SIGN UP! Everyone has a story (or a few dozen). This course will focus on discovering and developing your ownunique voice as a storyteller, and introducing you to the many tools and techniques that are at your disposal, in a ridiculously safe and encouraging environment. The entire process, from story generation to the fine details of delivery, will be covered in an engaging work-on-your-feet manner. Each class session will also feature a lab component where participants can workshop stories, experiment with techniques, and receive detailed feedback. The class will culminate in a student performance at a local venue. All experience levels welcome, from complete novice to seasoned teller. The class is useful for the stage, in business, and for social story sharing. ​ benefit for our organization. A well-told story is much more effective than bullet points or a deck of slides in engaging another human brain. Scott offers a wide variety of workshops geared towards developing the storytelling skills of your staff, sales team, fundraisers, or leadership. He has worked with a diverse client base over the past several years, including Blue Cross Blue Shield, RW Baird, Chicago Cares, JLL Consulting, The Golden Apple Foundation, R/GA, and many others. Recently, Scott trained the entire staff of The Pritzker family's newest hotel, The Chicago Athletic Association, in sharing the tales of the historic building with guests, and was a featured presenter at the Woodmark Summit, a symposium for 26 children's hospitals across the country. For more details and pricing, email Scott, or visit his website. I sought storytelling instruction from Scott to more effectively communicate my ideas, tell a brand’s story, and lead teams toward a common vision. Scott brings his same, proven storytelling philosophy to corporations, nonprofits, and creative agencies as he listens to their needs and crafts engaging workshops that guide them in telling their stories. As a student, his classes helped me find and believe in my voice as a storyteller, but it's through working with him that I find Scott really inspiring. There are only a handful of people in the city with his passion and commitment to storytelling, to teaching others the art of it and working to spread as many people's stories as possible. He works so hard and is so enthusiastic that it motivates me to push myself even further. Scott Whitehair is the creator of Story Lab Chicago, producer of This Much Is True, one of the city's longest running personal narrative series, and founder of Do Not Submit, a citywide network of pressure free open mics. He has told stories anywhere somebody will listen, including Steppenwolf Theater, Second City, The Green Mill, The Woodstock Opera House, and for NPR, The Risk Podcast, Sirius XM, and more. 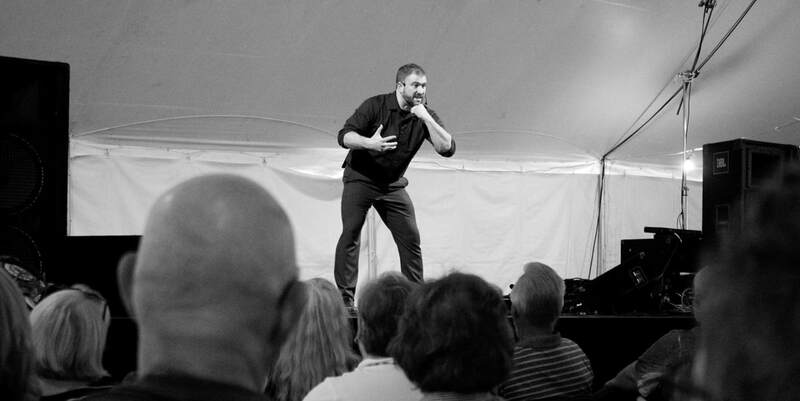 Scott is a 2x Moth Slam winner and has been featured at The Printer's Row Lit Festival, Fillet of Solo Festival, Chicago Improv Festival, The Fox Valley Folk Music & Storytelling Festival, The Evanston Public Library Storytelling Festival, and The Association of Writers & Writing Programs Conference. He has taught sold-out monthly classes since 2012, and has done training for such organizations as Blue Cross/Blue Shield, Price Waterhouse Cooper, RW Baird, Chicago Cares, Loews Hotels, The Woodmark Summit, Chicago Athletic Association, Pulmonary Fibrosis Foundation, and many others. Scott has been a guest instructor at DePaul, Northwestern, Loyola, University of Chicago's Booth School of Business, IO Chicago, and The Latin School. His private coaching clients have included a Fortune 500 CEO, nationally known speakers, and grandparents. Scott recently was appointed to the Board of Directors for the National Storytelling Network, taught a week long course at All Hallows College in Dublin, Ireland, and was the featured instructor at Hong Kong Story Worthy Week, headlined by David Sedaris.